The young community of Mira Mesa, located north of Downtown San Diego between Interstates 15 and 805, came to be out of necessity. Beginning in 1969, a housing boom brought many young families to this roughly 10,000-acre community. Considering such rapid expansion, a dramatic shortage resulted— in amenities, shopping malls, restaurants and schools. The area popped up so unexpectedly that efforts ensued to limit unplanned growth in San Diego. Today, Mira Mesa is a diverse city with 41 percent of the population being Asian American. This culture influences local restaurants, entertainment and businesses. 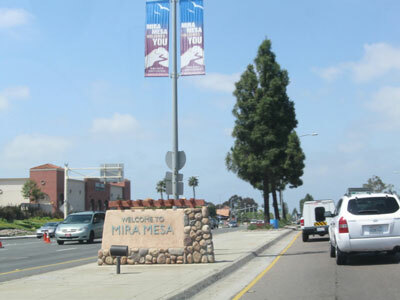 Mira Mesa has grown to approximately 80,000 residents spanning all demographics. Every June, Philippine Independence Day is celebrated with shows, dance performances, talent shows, food and children’s rides. Fourth of July festivities fill the city, including a Family Fun Day followed by a fireworks show. Mira Mesa’s Town Council sponsors the annual Mira Mesa Street Fair every September on Camino Ruiz. Mode Auto Repair happily serves the auto repair needs of all drivers from Mira Mesa. Our staff is dedicated to excellent customer service, while repairing any issues on your vehicle with long-lasting results. We’re convenient to Mira Mesa and look forward to earning your business.